And three time's the charm! 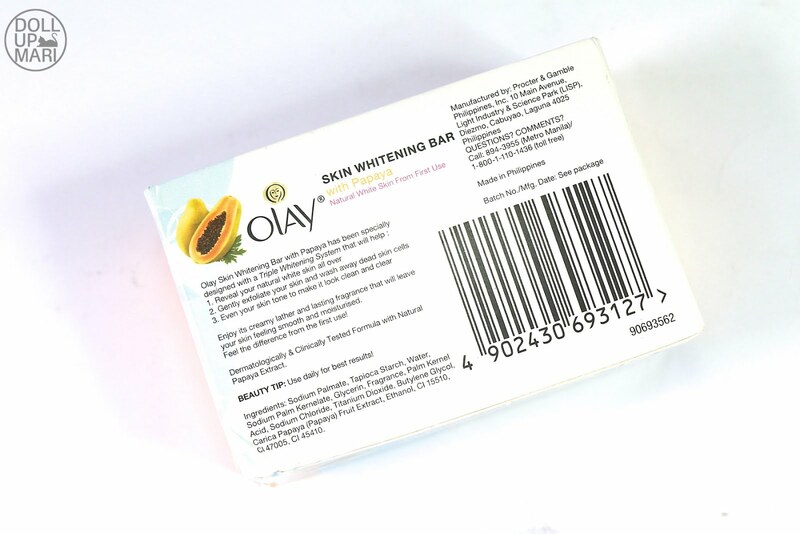 This is the third, and I think the last one, in Olay's Skin Whitening Bar collection. So this is how the box looks like. 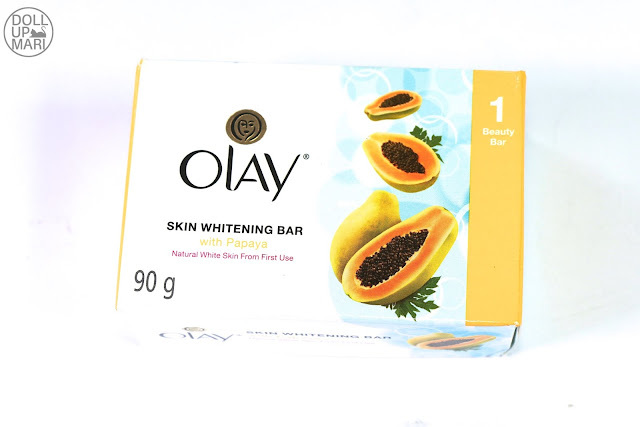 It always amuses me when Olay does Papaya bars because I never thought that they would make their product strategy localized. I thought they would like to stand for being the imported brand. But nonetheless, I super loved their previous Papaya bar as it helped me get over a semester of swimming class! These are the ingredients, and the description. Enjoy its creamy lather and lasting fragrance that will leave your skin feeling smooth and moisturized. Feel the difference from the first use!" So this is the 90g bar. 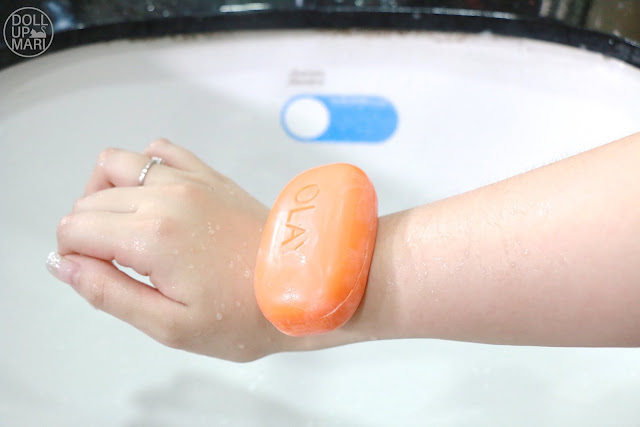 It's a basic soap bar, and it doesn't really boast any ergonomic shape whatsoever. This works a lot like the Vitamin C and Rose variants, but the key difference is the fragrance. It smells like your typical papaya soap, but perhaps the reason why I fell in love with the predecessor of this soap is that when Olay does papaya, it doesn't smell dizzying. I have used a whole lot of papaya soaps but some soaps smell too strong, or like the papaya scent will give you headaches. 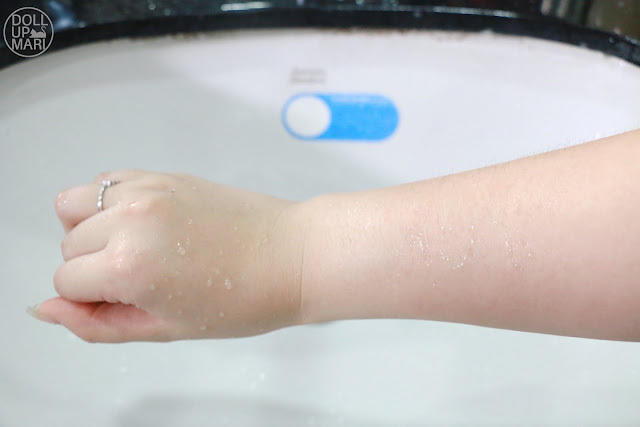 Perhaps it's better than its predecessor in the sense that it lathers up even better. I don't remember my former Olay papaya soap lathering up this well, so this is something that I super liked about this product. It also fared well with my beating net and created a good lather just like the two other variants. This is also a very moisturizing bar like the other variants, and will be okay for use on face and body. This leaves a whiff of fragrance and will not smell too overpowering. The lather, though, and the luxurious feeling in using it, is the best. I got this for Php49 at a Rustan's store, but I think you can get this nationwide. This is a 90g bar, and I think there is a smaller bar. Hi Ms. Mari! 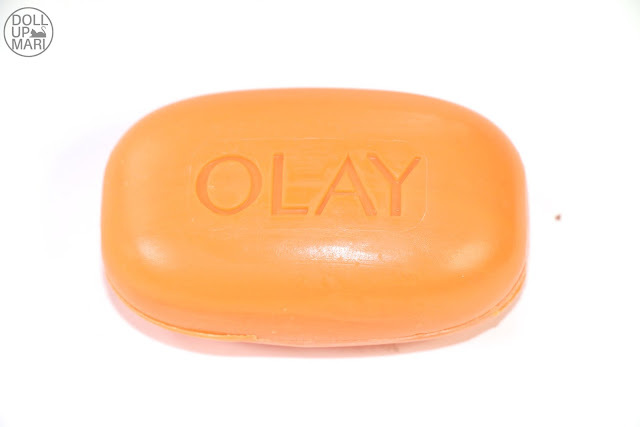 Im using the Pink Olay Variant and it smells very nice. It makes my skin smooth and light too. I got it from Sample Room PH.